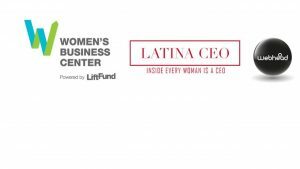 If you’d like your event featured, submit for consideration: contact@latinaceo.com. 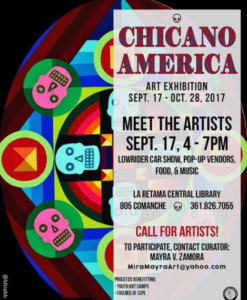 Sunday September 17, 2017 4:00pm Chicano America Meet The Artists CALL FOR ARTISTS! Chicano America is an upcoming art exhibition bringing together the work of Chicano Artists. Culture and Hispanic Entrepreneurship: Impact, Challenges and Opportunities Taking place on October 11 at Texas State University at 5:30pm – 8:00pm This program will consist of Janie M. Gonzalez, being the Host. VIP Reception from 5:30-6:15pm, Valerie Ballesteros for Doctoral Thesis Presentation followed by a panel discussion. Startup to Success Hear from entrepreneurs that have been there and done that. How to get going from an idea to success. Their stories will highlight the opportunities and pitfalls along the road. They will also offer thoughts on which markets might be ripe for disruption through applied technology both here in San Antonio and around the world. Now in it’s fifth year, Cascarón Bash, continues to expand its fundraising efforts throughout San Antonio and Bexar County. Our mission is to support educational efforts in Science, Technology, Education, Arts and Math (STEAM) that provide scholarships, leadership development activities and various programs. Without the assistance of community minded individuals just like you, we wouldn’t be able to meet our mission of providing services in our community.